We at Bamboo Cuisine, in Sherman Oaks, are proud to only use the freshest, tastiest ingredients in all of our dishes and cocktails. That's why we're known for having the best Chinese Food on Ventura Blvd. Whether you're dining in for lunch or dinner, getting take-out, ordering delivery or catering - we make every dish with the same attention to detail and quality. We love seeing new smiling faces, and we love seeing you come back again and again. We offer a range of dishes, from traditional Chinese Food like orange chicken and peking duck, as well as soups and vegetarian & vegan options. We also have a full service bar, because some nights are better when you add wine, cocktails, and/or beer. Our dinning area is warm and inviting, with space that can be closed off for more intimate affairs, private events, birthday parties, graduations, wedding showers, anniversaries, or any other get together. Since we know that some nights you're too busy to dine with us, we also offer Chinese Food delivery, Chinese Food take-out as well as Chinese food catering. 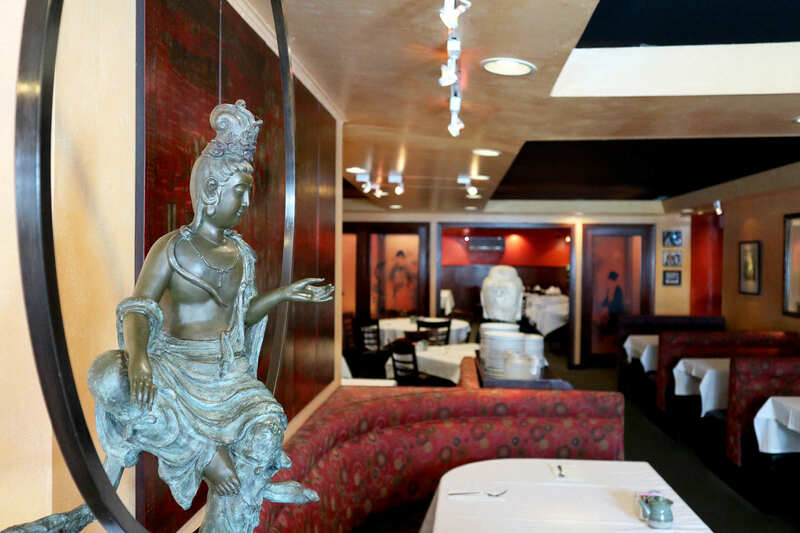 Stop by and we think you'll agree that Bamboo Cuisine offers the best Chinese food in Sherman Oaks.